Found a link you think we’ll like? Share it with us on Twitter @gdsteam. Sarah Richards - our ex Head of Content - says users are selfish; find out what she means in this blog post. The National Rail's Darwin database is going to be free for devs to use from June - making cool train app stuff easier to do. We recently moved GOV.UK to a new platform - find out how we used vCloud Tools to create the virtual machines and networks required as well as configure the firewall, NAT rules and load balancers. At our recent Sprint policy event, we learned it’s not change that should worry us, but staying the same. We've been hacking Google Analytics this week - find out why on the data blog. Reviewing design work is never easy - but these ten questions are a pretty good start. Last week marked the end of a 6-week proof of concept at the Land Registry - illustrating what a digital service might look like in the future. What's the ideal music to listen to at work? This infographic will help you decide. This is probably the wrong place to leave a comment, but as I can't find the proper place, here goes. Hi David. Please could you fill in this form: https://www.gov.uk/contact/govuk to alert the correct team to the issue. The "ten questions" of design are pretty good, so long as we are sticking to the Publisher's manifesto (and not the Communicator's creed). 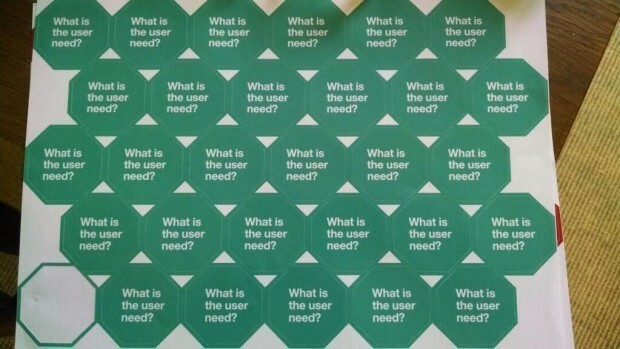 Here's a challenge for the design team, if they really want an insight into a citizen's (and not just a user's) perspective. Register for this one. https://my.gov.au/ (and wait for the confirmation email). And then just try to make some sense of the engineers' design. The designer who can will have citizens (from around the world) worshipping at their feet.